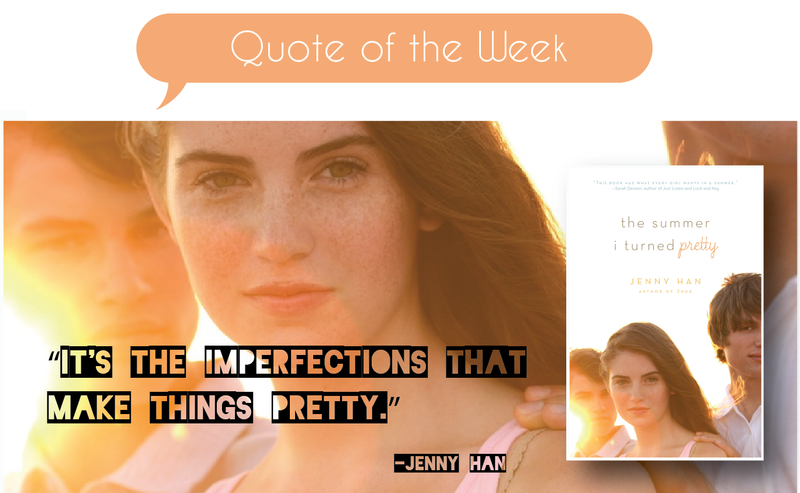 This entry was posted in Quote of the Week and tagged Jenny Han, Summer I Turned Pretty. Bookmark the permalink. ← Giveaway Time: Win a personalized book of your choice! God I love this quote! And this book! One of my all time favorite contemporary series. Conrad still breaks my heart into pieces every time I think about him. Love this quote! I always wanted to read this book but I never had the chance! Such a great book / quote. Nice choice!